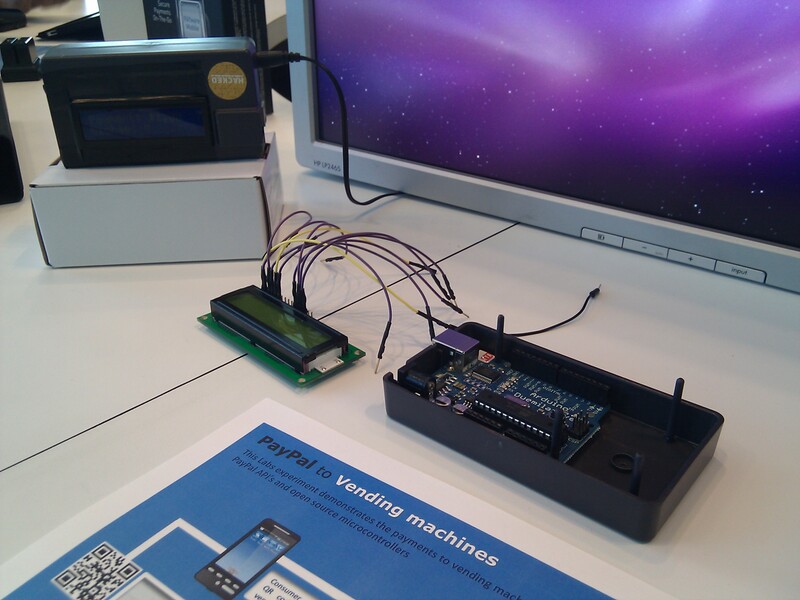 While walking the show floor at the PayPal X Innovate 2010 developers conference today I came across this cool PayPal vending machine prototype. 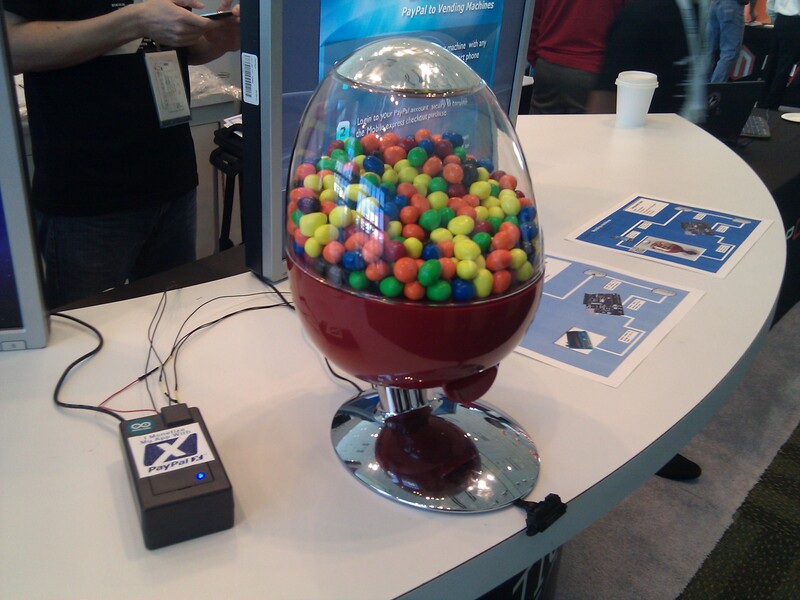 Ray Tanaka and his crew at PayPal Labs hacked together the multi-part system using a mechanical candy dispenser, a couple of Arduino Duemilanove, a WiShield, relay, proximity sensor, and LED display. The end result allows you to scan a QR code, make a payment, and acquire munchies using a smartphone. As you make your payment, the machine will tweet your purchase and notify a confirmation display.